Theatre’s bar though. I remain in mourning for its loss". a new and better home". has pulled a pall over a great entertainment venue. (The hoardings surrounding the re-building works bear the name ‘the Cultural Quarter’. ‘the Cultural Vacuum’.) The town centre remains in a state of suspended animation. 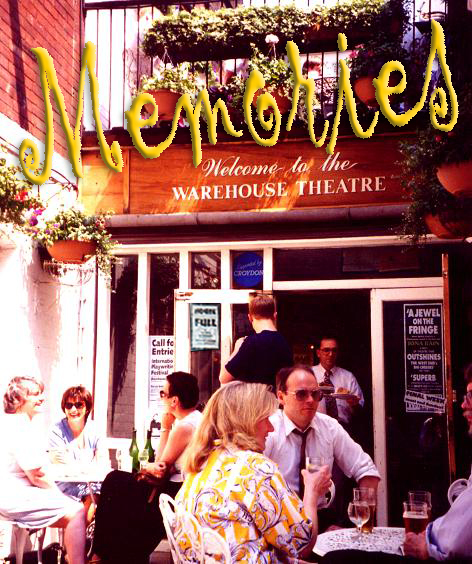 When will the Warehouse Theatre find its rightful new home? an illustrious history and variety of theatres. or other intellectual property notices contained in the original material.